Cognitive Dissidence: Walkergate: I Told You There Was More. There's Always More. 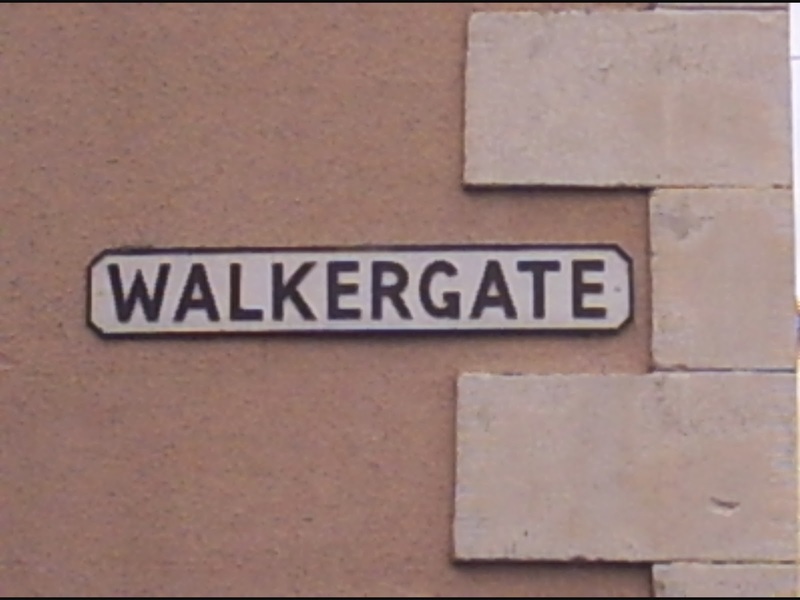 Walkergate: I Told You There Was More. There's Always More. Wednesday was a beautiful day. degrees, giving people a glimpse of the spring yet to come. People were quicker with a smile and had a little more spring in their steps. Also on Wednesday, the until then sealed emails and other documents related to the investigation, charging and conviction of Kelly Rindfleisch were unsealed and made available to the public. Rindfleisch, as the gentle reader already knows, is the WISGOP political operative that was hired by Scott Walker to work in his county executive's office. During her trial, it became obvious that she was hired to work more on the campaign of Brett Davis, Lieutenant Governor wannabe, and then his own. The much awaited documents were eagerly taken and shared, with many revelations into the workings of Team Walker, which is becoming increasingly apparent included both his campaign and county staff, blending the lines as to make them indiscernible. Some of the revelations included extremely vulgar and racist emails they shared to "lighten the mood." Some of the revelations included the plans and actions taken to cover up the myriad of problems at the mental health complex as well as with the tragedy of O'Donnell Park, where a teenager lost his life and two other people were seriously injured when a facade fell of the building. Numerous bloggers and news sources have reports regarding this. As time allows, I will also go through the emails, although long time readers of Cog Dis are well aware of these revelations and have been for a long time. For example, Dan Bice of the Milwaukee Journal Sentinel was one of the first with a story, pointing out that it was Tim Russell's partner, Brian Pierick, that had ran the campaign website ScottforGov.com. That's not exactly news. I started questioning in May of 2010, the same month that Darlene Wink and Tim Russell had both been caught campaigning on county time, whether ScottforGov.com was an insider job. It became even more apparent that it was an inside job when the website was able to post a story on a request for information I had made within minutes of Walker's office sending me the requested information. Now, Walker knew that Russell was in the thick of the Walkergate investigations. Walker himself claimed that he only knew what he read in the papers. Dan Bice of the Milwaukee Journal Sentinel has done an excellent job of covering it, including pointing out Russell's involvement in almost each of his Walkergate stories. Despite this knowledge, Walker was perfectly comfortable with having Russell and his roommate, Brian Pierick, who was arrested for child enticement, do the administrative work for his official campaign website. In fact, Russell was listed as the administrator up to and through the day before the arrest. Heck, I had already pointed out long before Bice that MJS conservative blogger Aaron Rodriguez was aware of who was doing the website but kept the crime secret and even tried to lie to me about the website. To his credit, Bice did break the news that Walker put gave the website and his approval to the website. Which leads us to the next "major discovery" which was that Walker was also aware of the secret router his campaign/county staff used to communicate with each other and with him. This new proof was an email from Cindy Archer welcoming Rindfleisch to the "inner circle," meaning those aware of the secret email system. Walker himself is acknowledging awareness of all that was going on and was directing these actions. For reasons unknown to me, the corporate media in this state never even referred to this email until yesterday. It is email like this one - and I am sure there are many more like it - that show the collaboration that was going on between WISGOP and Walker's campaign, which is illegal. Other emails show that there was a cozy relationship between Walker's campaign and MacIver has well. As the gentle reader is aware, it is this collaboration that is the subject of the ongoing investigations known as the Sons of Doe. I am planning on exploring the emails myself to see what else might be in there and will be more than glad to share my findings with the gentle reader. Stay tuned and make sure that you're fully stocked up on popcorn. Things are just about to get interesting again. Because - say it with me! - with all things Walker, there is more. There is always more. Prison, and not a private one. I think we now know why there is a second John Doe investigation. How were more staffers not charged and why didn't Russell get charged with the charges as wink/rindfleisch (in addition to the other charges)? I've posted before, but they all could have been charged with conspiracy....that isn't even hyperbole. I find it satisfying to read the evidence proving that Scott Walker knew that crimes were being committed in his office. Even better are the racist emails demonstrating that Republican leaders are not only racist, but that they are deeply despicable and ignorant bigots. Still the emails I most enjoy are where Republicans are backstabbing other Republicans. Rindfleisch disses Kleefisch who mocks Davis. Then Priebus double-crosses Neumann. Sweet stuff. Scott Fitzgerald has a lot to worry about now that these thugs are now going after him. Well put. I knew the average GOP operative was a slimeballs, but these emails take that reality to another level. THAT IS WHO THEY ARE. Racist, conniving, backstabbing weasels with no concept of the common good or governance. After reading through many emails, I am even more sickened than before over Walker's lack of honesty, ethics and decency. Walker's staff has been filled with racists..4 now have been caught...Walker even made inappropriate comments in his book via his top 10 list. Could you imagine letting this moron conduct talks with middle eastern countries??? After Walker's behind the scenes jabs and his top staffers jabs at Muslims and the koran?? Walker is a low life scum sucking thug. THUG. His staff disparages so many people with Walker's blessing....my God...how can anyone, even a tea party patriot, think this man can do what is best for all of his constituents???? The "inner circle" - Walker should have been tried ...He is a CRIMINAL. I hope the media is unmerciful, sits outside his home, makes his life the living he'll he has created for Wisconsinites. Hope Tonette has a good divorce attorney. Last I hope his boys finally know what a lying thug their Dad us and do everything to not emulate him. I feel sorry for his kids - to have a dispicable, lying, sociopathic father like Scott Walker is a form of purgatory. Orange jumpsuit. Where are the lawyers? Maybe some of the lawyers will be wearing orange before this is done. I stand with John Doe!!! Where are Cindy Archer's e-mails and how do prosecutors access those? There's got to be buried treasure in those and how did all these people get immunity from prosecution when they were all involved in the secret e-mail system? Remember folks...Cyndi Archer, GOPFran & Cullen Werwie were all given immunity for their testimony. Unfortunately for Scott Walker, that testimony remains sealed. Only the those who testified and the DA know what was said. Walker couldn't know what that testimony was (unless one of those who testified broke the law and told Walker). Perhaps the DA is just waiting for Walker to contradict some of that testimony. Walker is walking a very thin line right now and he could lose his balance in an instant. I'm now wondering about is the end game. Who pulls the trigger - Doe 2 investigators, Koch brothers switch to Haslam of Tennessee or a similar righty, Rove and Co turn on him publicly at the national level, Walker himself resigns as he realizes this is going to get very ugly for his family and future job prospects fast, or are we going to see a break away in the Legislature and business community? Since Walker has not confirmed he'll run for re-election, my prediction is Walker himself pulls the trigger and announces he will not seek re-election as his mission has been accomplished in Wisconsin, the state is moving the right direction, blah, blah, blah, and he is moving on to new and exciting challenges serving his country and conservative cause by taking a position as a [highly paid do-nothing] at [wing nut organization]. Was John Doe 1 cancelled in order to fry more fish in the bigger Son of Doe II pan? Who are the bigger fish, could it be the the Kochs? I'm wondering about how J. B. Van Hollen's decision to not seek another term, and his decision to not run the Son of Doe investigation interact. And the "retirements" of several GOP Assembly members in recent days. It definitely seems like they know a hammer is gonna fall.